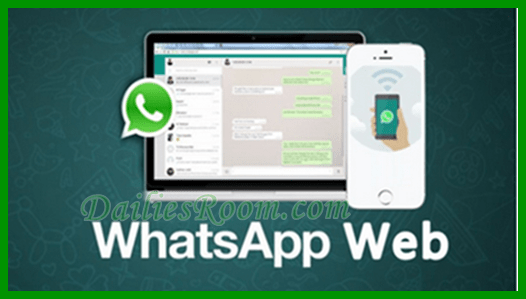 whatsapp web chat download and Setup – Download Free WhatsApp for PC – Like we all know that Whatsapp has always been rink as mobile-first messaging app on mobile devices. And this make the app more popular and unbeatable by other Mobile Messaging app, but most users still believe or thinks that whats app can only be use on their mobile device. Following the recent update Made by Whatsapp management team, here is the good news. Finally, Whatsapp released Whatsapp web which is the web version that can be used on PC. But not the it can only be use by connecting your mobile device and computer together i.e Leaving both your Phone and Pc connectivity ON, and this is the only way which you can chat through you Computer (PC). But this is with the help of emulators such as Andy emulator and Bluestack emulator. But still, this can never work like whatsapp web. First for all, you most know that before you use the Whatsapp web, you most first Download and install the application to your PC and in doing that you have to follow this steps below!!! 2 Now, after you have downloaded and installing the app, you’ll have to sync your mobile device by scanning the QR code using the app on your smartphone. 3 Go to Settings>WhatsApp Web on your smartphone to scan the QR code. 4 Once that’s done, you can now start using WhatsApp on your desktop. Android Phone users: open the app – menu – whatasapp web. Windows Phone users: open the app – menu – whatsapp web. iPhone users: open Whats app – Settings – whatasapp web. Blackberry users: open the app – chats – menu key – whatsapp web. NokiaS60 Phones users: open Whatsapp _ menu_ whatsapp web. Please Note that whatsapp web doesn’t require a user to create another account. When a user makes use of this app on his or her PC or mobile device they are simply accessing the same account on both device. 1 With this new whatsapp for Window Desktop computer you can comfortably use keyboard shortcuts when texting using the desktop app, which makes texting much easier and faster. 2 A user can download any files which he or she receive from other users to his or her PC. This makes it easy for the user, he doesn’t have to transfer the file to his PC any longer. 3 The user is allowed to remotely log out from browsers. 4 No App needed all you need is a PC and a web browser installed on it. 6 Also receive native desktop notifications when the app is running.